The government-led Funding for Lending Scheme has caused a home loan price war to develop, much to the delight of homebuyers and property owners. Experts predict that the best fixed-rate mortgage interest rates will eventually drop to as low as 1.5 percent. Last week, the Post Office and Coventry were offering 2.3 percent fixed-rate mortgages. Nationwide, the largest building society in the UK, dropped its two-year rates to two percent on January 17. Yorkshire Building Society bested it by introducing a 1.99 percent fixed-rate for its two-year mortgages. Now is the time to save big on a home mortgage. For almost four years, the Bank of England Base Rate has remained at a record low. Citi investment bank predicts that the rate will remain at 0.5 percent until at least 2017 and money markets predict it will hold through 2018. Rates for fixed-rate mortgages continue to fall with no upward pressure exerted on their underlying swap rates. Mortgage brokers expect lenders to tweak rates in order to stay competitive. Borrowers can benefit from this trend by shopping around for fixed-rate mortgage deals. This action alone could cause rates to decline even more. However, borrowers should be aware that a fixed rate below two percent might come with a trade-off of big fees so they must shop carefully. Competition may create some very appealing deals but deposit requirements could be unaffordable for some homebuyers. The government Funding for Lending Scheme has been a key driver for interest rate declines during the past six months. Launched in August, this scheme provides building societies and banks with inexpensive funding from the Bank of England as long as the money is lent to non-financial entities or individuals. 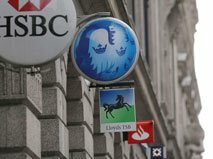 The goal of this scheme, in which 35 lenders are participating, is to increase bank lending by approximately £60 billion by January 2014. Mortgage brokers say that while the scheme is still in its early stages, the initial indicators are positive. Mortgage rates continue to decline and borrowers have some attractive choices with higher loan-to-value mortgages. Rising interest rates may not be a concern now but what goes down will come up. In just three or four years, UK homebuyers may be facing much higher mortgage rates. The credit crisis made it difficult for first-time homebuyers to obtain mortgages but the situation is improving. Some of the least expensive fixed-rate mortgages are now becoming available. A homebuyer who is concerned about future interest payments can get a ten-year, fixed-rate mortgage with under 4.3 percent interest or a five-year fixed mortgage with less than 3.4 percent interest, based on amount borrowed. Standard variable rate mortgages currently feature rates in the 3.99 percent range. Many homebuyers may not have difficulty affording this but if falling sterling exchange rates or rising inflation cause interest rates to climb, these borrowers may be stretching their finances. With a fixed-rate mortgage, a homebuyer avoids this risk and can budget with certainty for what is probably the largest monthly expense. Current homeowners with substantial equity in their homes can fix their rates for long periods. Leeds Building Society offers a ten-year, 4.29 percent fixed-rate mortgage to homeowners with 25 percent equity. At a rate of 4.69 percent, even its ten-year fixed mortgage for borrowers needing up to 80 percent loan-to-value is good. However, borrowers should be prepared to pay a £199 booking fee and a £800 completion fee. If they plan to repay the mortgage within two years of obtaining it, a large early repayment fee will apply: six percent of the amount borrowed. Borrowers requiring a higher loan-to-value can find a three-year fixed rate of 4.64 percent from Yorkshire Building Society. This mortgage includes a £495 fee but also offers a rebate incentive of £500 upon completion of the mortgage. Borrowers are even permitted to make overpayments of up to ten percent of their mortgage advances. Brokers are pleased that lenders are reducing fixed rates on even these high loan-to-value mortgages. When the credit crisis hit five years ago, homebuyers with little money for deposits found themselves out of luck. Things are becoming easier for them because fixed-rate, 95 percent loan-to-value mortgages are once again available. Hanley Economic Building Society is offering a 5.49 percent fixed-rate for a five-year mortgage with up to 95 percent loan-to-value. A £200 fee is required but overpayments can be made of up to ten percent of the mortgage balance. Homebuyers should review the fixed-rate mortgages from Halifax, HSBC, and Santander, the major providers of this financing. Santander purchased Bradford & Bingley, Alliance & Leicester, and Abbey National. Nationwide should also be reviewed because member-owned financial organizations like this are offering an increasing number of mortgages especially for first-time homebuyers. Lloyds Banking Group is also doing its part to help people get on the property ladder. The bank that runs Halifax, Bank of Scotland, and Lloyds TSB plans to help 60,000 people purchase their first homes this year. A lofty goal considering this is a 20 percent increase from the number of first-time homebuyers the bank lent to during 2011. For borrowers who can make deposits that are significantly larger than ten percent, Lloyds will reduce the rates on its best fixed-rate mortgages. Current homeowners with substantial home equity will also benefit from lower fixed rates. Lloyds also plans to offer new products, which representatives refer to as “innovative.” These will enable people to get onto the housing ladder with only five percent deposits. Lloyds is a huge supporter of the governmental NewBuy scheme that enables first-time buyers with small deposits to purchase designated newbuild properties. Whether you are a first-time buyer or a homeowner who has accrued some equity, consider the money-saving benefits of a fixed-rate mortgage. Interest rates will not be this low forever so lock in an excellent deal now. Saving money over the next two, five, or even ten years provides a nest egg for retirement or extra funds to repay other debts.